The first product I have been loving this month is the Garnier Micellar cleansing water. I talked about this recently in my skincare routine (you can read that HERE!). 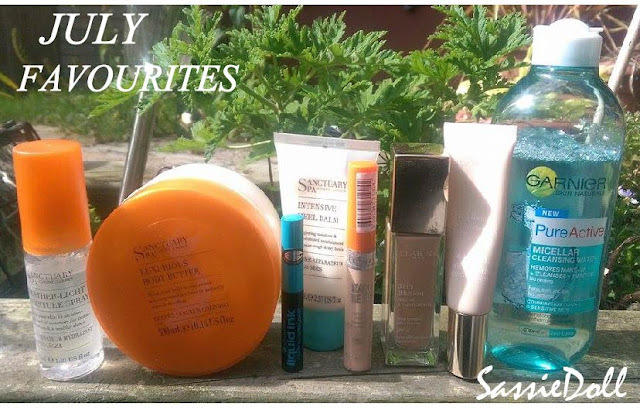 However this month I tried the new one for combination to oily and sensitive skin. I don't really have sensitive skin but I do have combination skin and sure there's no harm in using a product that is lighter on your skin anyway. 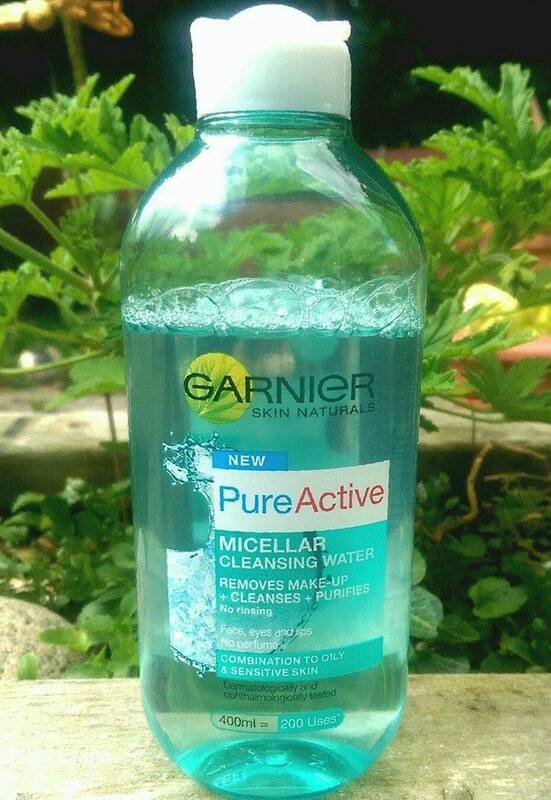 So I tried this one out and I love it just as much if not more than the original, it is light weight, excellent for make-up removal and really refreshing on the skin. I have been using this twice daily as part of my current everyday skincare routine. Staying with skincare, the next products I have been loving this month are these 3 products by Sanctuary. My Godmother got me a Sanctuary set for my birthday in June and I have especially been loving the body butter, feather light moisture spray and the intensive heel balm. I hate thick moisturizers and body butters that don't spread smoothly and take ages to dry but this one is quite light for a body butter and smells lovely! I have been using it around once a week when I need a good moisture! The feather light moisture spray is amazing! 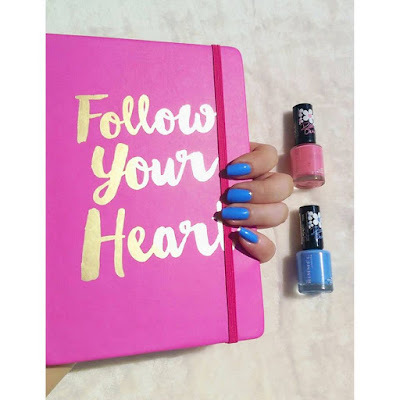 It is a light moisturizing oil that is so handy when you are in a hurry and need a quick, light bit of moisture. You just spritz it lightly on the skin, rub in briefly and it dries in so quick and leaves your skin feeling really soft and smooth with a light glow, love it! 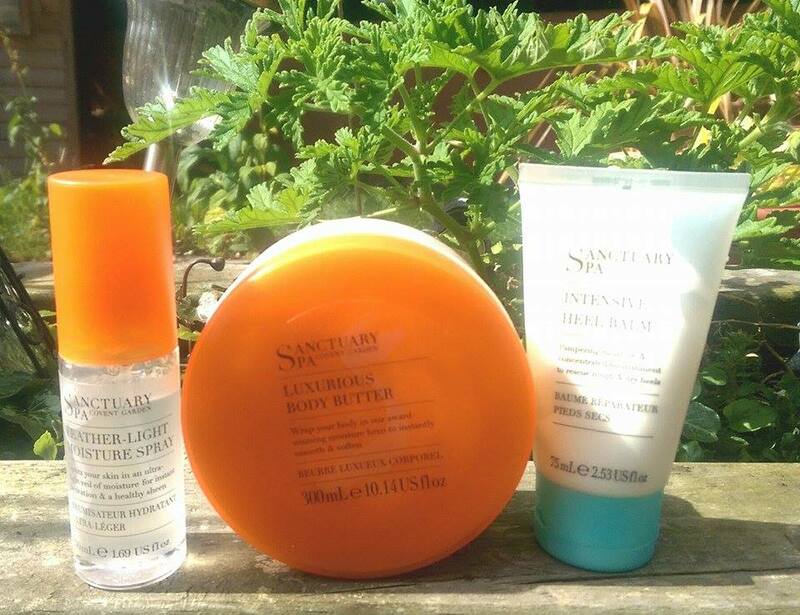 Then last of my fave sanctuary products this month is the Intensive heel balm. I have never really been one to moisturize my feet as I never really needed to but I have noticed recently that my heels have been getting quite dry so I decided to give this a go. After one use, I noticed a huge difference, the next morning my heels were already much smoother and the dry skin had eased loads, so I will definitely be continuing using this throughout the summer and before holidays. I love the smell of sanctuary products too, they smell like a salon and are therefore really relaxing! Now onto make-up... this month, I had ran out of my L'Oreal true match foundation which I have been using a lot recently so I had a sneaky peek in my mam's make-up bag and discovered the Clarins Eclat minute base illuminatrice de Teint and Clarins Skin illusion mineral foundation and fell in love with both products! The foundation is light and natural yet has good coverage! I really love the texture and the natural finish. It goes on great after first applying the base which has a gorgeous glow to it. Although it is much pricier than the L'Oreal foundation, I will definitely be purchasing these myself this month. 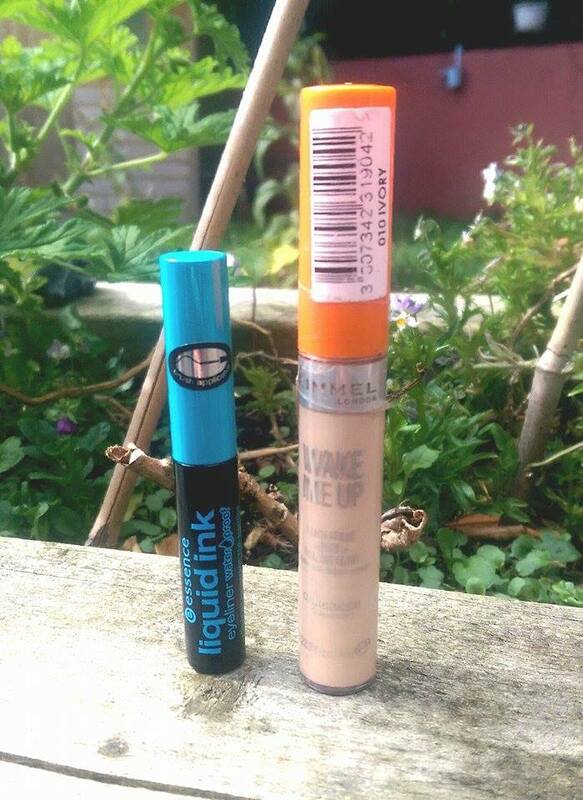 I have been using the Rimmel Wake me up concealer religiously over the last couple of months so I thought I should include it in my fave's. It isn't as full coverage as my MAC prolongwear concealer but it is so brightening and doesn't get clogged in any creases under the eyes. I have been using ivory under my eyes, down the centre of my nose and any other areas that need a bit of a lift. I also picked up the below liquid ink liner by Essence and I am loving it! The thin, soft brush makes it easy to apply and it last all day without smudging! 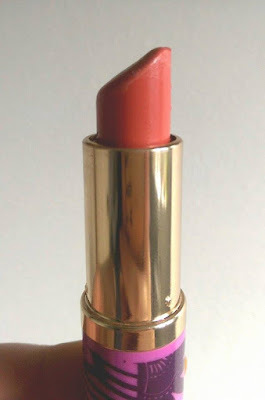 Last but not least is this lipstick from Estee Lauder. 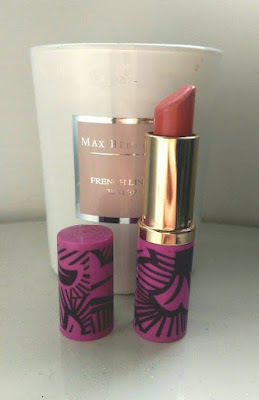 I got this in a set at Christmas so I am not sure if it was a limited edition but I have only started using it the past month or two because it is a perfect summer, peachy shade. The colour is 'Crystal Coral'. 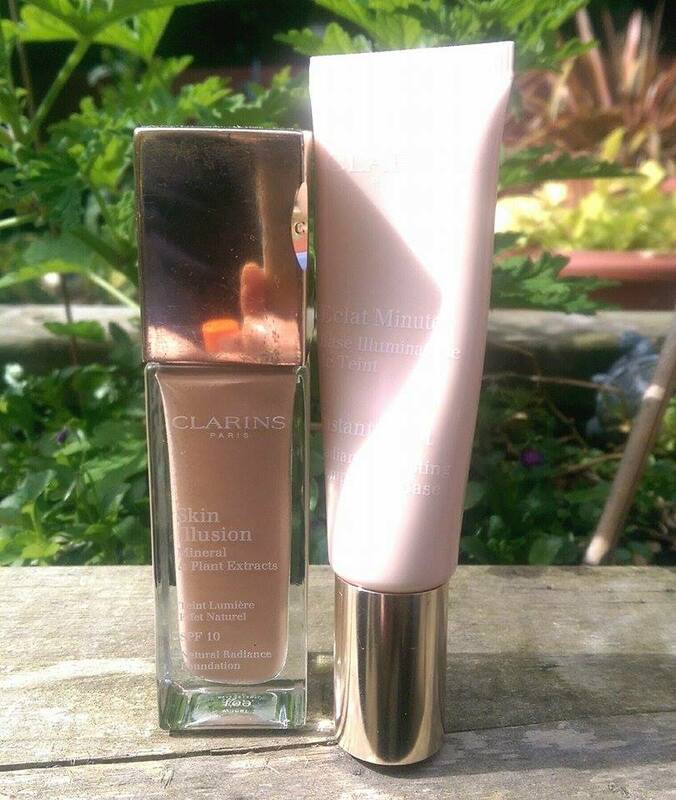 It is also really glossy and has a light shimmer so it is gorgeous on sunny days with a nice bronze glow on the skin! I hope you enjoyed my first monthly fave's! It will hopefully be a bit more interesting next time with a mixture of different things! Top 10 Black Ankle Boots Available Right Now!